Enter your information below to be added to this campaign! Restaurant Owners: Register NOW to be included on our new campaign, “Eastie Eats”. Participating restaurants will offer special discounts to locals and out of town visitors each week, from Sunday through Thursday, beginning Sunday March 12th and ending on Thursday March 23rd, 2017. It’s easy!! Restaurants that participate in the campaign will offer discounts on their menu for lunch and dinner, Sunday through Thursday, from March 12 through March 23. Excludes beverages, tax and gratuities. Discounts: 15% Walk-Ins – 20% with reservation or take-out. To participate, diners simply visit their restaurant of choice from a list of participating establishments; no special tickets, passes or coupons are required. Diners may make reservations by contacting restaurants directly. Check restaurant website for specific prices and menus for each participating restaurant. 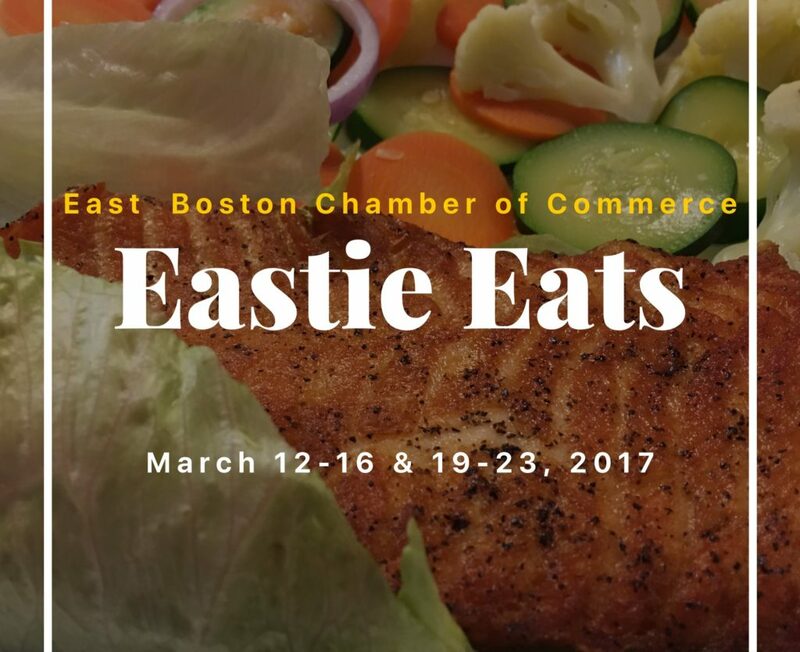 About the Campaign: From Sunday February 26th through Sunday March 4th, community members made their “favorite restaurant” picks through the East Boston Chamber of Commerce Facebook page. From this list of votes, the East Boston Chamber Board will create the “Top 10 Restaurants” list to be included in the first ever “Eastie Eats” campaign. Non-member restaurants that are not on the list are encouraged to become Chamber members to be included in this and future campaigns. To become a member please click here or contact us via phone at (617) 569-5000 or visit us at 175 McClellan Highway, Suite 1 East Boston, MA 02128. Business hours are Monday through Friday from 10 AM to 3 PM. Note: If yes, then you will be automatically added to this campaign. Yes, I agree with the Discount.